UNTITLED LIFE X MELTING OF AGE PRESENTS: UNTLDL!VE 2 YEAR CELEBRATION We're back with another unmissable show and we've teamed up with Untitled Life for their 2 year celebration in curating LA events in keeping club music alive! From the Bay to the IE, the roster features artists from all around the Golden State for one night on Thursday, April 5th. With free admission, Open Aux sets, and exclusive drink deals, get ready for a blockbuster bash! Below check out the event details as well as our hefty lineup of artists! Save the date today! "HOLD YOU" Rj Lim, aka Bohkeh, releases a fresh funky new track titled "Hold You"! With spring in our midst, Bohkeh captures a sweet sound of playful synths and vocals that gets us in the mood for the warm seasons. His signature style of sugary beats and popping drums infuse in every release. Especially in "Hold You," the gravity of pop and soul bounce back n forth on your speakers. 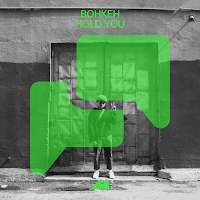 Below check out our Artist Q&A with the one and only Bohkeh all about his track "Hold You"! "CONTROL." 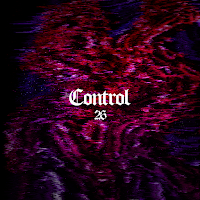 - STEREOFIELDUK label, Table 26, spotlight a new artist who is taking a grip on a fresh original sound through a recent release titled, "Control."! Stereofield squeezes sounds of gloomy house and trap giving a stirring atmosphere to the track. The mellow bass and the trickling drum work wrap around static beats for a smooth 2-minute trip. With only a handful of tracks released, stereofield paces into the race by creating daunting cinematic pieces for listeners to linger on. Below share and listen to stereofield's "Control."! 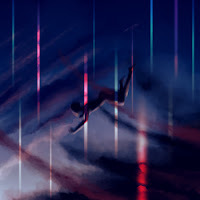 "EYEDEE" - XAVIReleased on Surreal Recordings, St. Louis producer Xavi molds and builds a thrilling suspenseful track titled, "EYEDEE." The bass crumbles your senses and the synth use breaks the boundaries of bass and electro music. The heavy narrative paired with the chime and ring of beats bringing warning of what your ears will enter into within the next seconds is like being stuck in a never-ending sleep paralysis nightmare. But don't fret, this nightmare brings the only anticipation where you can't and won't stop dwelling in its captivating mystery of crackles and roars. Below share and listen to Xavi's "EYEDEE"! 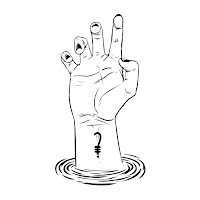 "GLITCH BOY" - K?D (WATER SPIRIT REMIX) From Orlando, Florida, producer Water Spirit takes off with a new remix of K?d's "Glitch Boy"! Dropped with a neon Launchpad performance video, Water Spirit entertains us all with rumbling synths and glorious bass that tickle the ears. The remix is filled with heartfelt strings and gives the original a lightning strike of glowing ambiance and sound structure. Below listen and share Water Spirit's remix of "Glitch Boy" as well as his captivating Launchpad performance! PLAYLIST SERIES For this playlist, listen to these 38 tracks we have dug to discover from the past month! 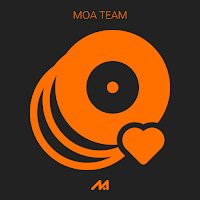 From new Warpstr, sumthin sumthin, and illusive to music from internet labels DESKPOP and Moving Castle, there is somthing for everyone's ears and enjoyment. Below check out TOTAL MELTDOWN #15 as well as all the artists featured on the playlist! 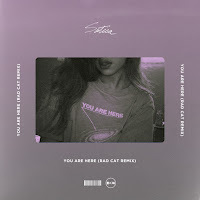 San Diego based producer Rad Cat just released a new remix of Satica’s “You Are Here” through the Moving Castle label, and it’s a very groovy, future rendition of the original track. Rad Cat uses Satica’s beautiful vocals and pushes them to the limit with a new instrumental that’s filled with heavy trap drums and warm synths, which compliment each other very well throughout the track. This remix is a perfect example of Rad Cat’s signature future sound, that continues to evolve and set the bar for the genre. Check the links below to listen to this track, and follow Rad Cat & Moving Castle on SoundCloud.